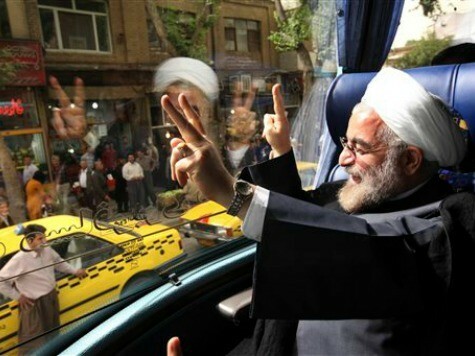 Iran is a cornerstone of stability in the Middle East in the face of the “terrorists” rocking the region, President Hassan Rouhani said Monday before leaving for the United Nations. “The peoples of the region are defending themselves, and will continue to defend themselves, against the terrorists,” Rouhani said in a speech marking the anniversary of the start of the 1980-88 Iran-Iraq war. “The government and armed forces of the Islamic Republic of Iran will help them everywhere,” he pledged. Rouhani’s comments came after US Secretary of State John Kerry said on Friday that Iran had a role to play in tackling Islamic State militants who have overrun large swathes of Iraq and Syria. Kerry “discussed the threat posed by (IS)” with his Iranian counterpart Mohammad Javad Zarif in a meeting in New York lasting more than an hour on Sunday, a US official said. Iran’s supreme leader Ayatollah Ali Khamenei has said he rejected a US offer to join the international coalition it has been building against the jihadists. Like Washington, Tehran has been providing support to both the Iraqi government and Iraqi Kurdish forces fighting IS. But unlike Washington, Tehran is a strong backer of the Syrian government, not only against IS but also against other rebel groups, some of them US-backed, all of which it regards as “terrorists”. Rouhani, who is to address the UN General Assembly on Thursday, last week criticised the United States for its refusal to send troops into combat in the battle against IS. “Are they afraid of their soldiers being killed in the fight they claim is against terrorism?” he asked in an interview with NBC television.